Here it is the first of April and we are three quarters of the way through this Rotary year. It’s also April Fool’s Day. There is much that could be said in regards to that, but I will forgo that nonsense. Our clubs have accomplished a lot this year and they continue actively working toward achieving all of their goals. Many clubs will be holding events in April. You should check the District calendar to see if any will be of interest to you. It’s always a great idea if you can support some of your fellow clubs in their efforts. In April there will be a Golf Outing, a Lobster Fest, and a Rock ‘N Roll dance. Hey, at the Rock ‘N Roll dance you could tune up your dance moves for the District Conference where we will feature the Southwest Surfers, a Beach Boys tribute band, on Friday evening June 21st. I am also excited about the charter night for the newest club in our District, the Surprise Sunset Rotary Club. This club was chartered on February 14, 2019 and will hold its charter night celebration April 2, 2019. Is your club qualified to receive grants in 2019-20? Find out the requirements and your club’s qualification status HERE. District Grant applications for 2019-20 begin April 1, 2019. Global Grant applications are open all year. 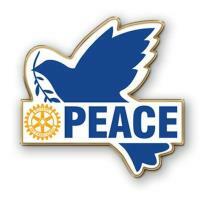 Go to the District 5495 website: https://rotary5495.org/. Click on Foundation/Global Grants. If you are considering a Global Grant , please first contact the District Rotary Foundation Committee. It is not too late to register for Club Leadership Academy!!! 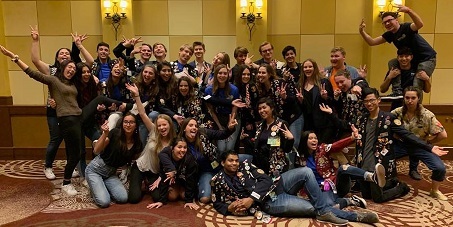 District 5495 has re-invented Rotary education and it is more popular than ever. This year’s Club Leadership Academy offers 40 different classes from which to choose led by expert facilitators. 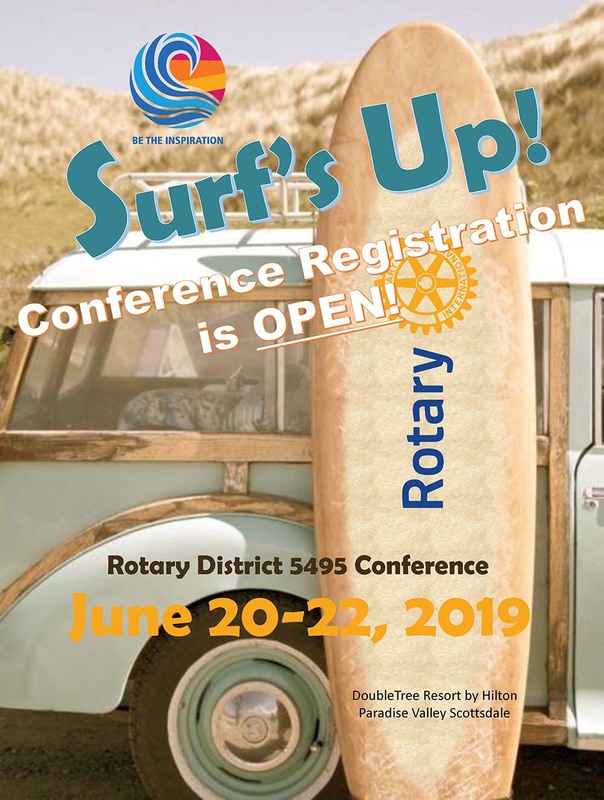 To entice new Rotarians the District Membership Chair has offered a special promotion to the first 75 Rotarians who register. Contact Ali Rodriguez for this promo code. 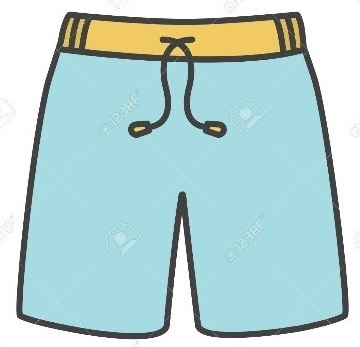 Additionally, we haven’t forgotten you returning Rotarians. Contact Leadership Development and Education Chair, Angel Aguirre for special returning Rotarian pricing promo code. The exchange students of district 5495 have just gone on their first American spring break! 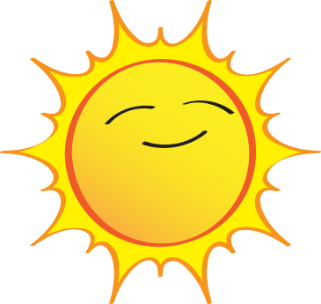 Hopefully it will be a sunny week here in Arizona for the exchange students to have a relaxing break from school with a lot of sun and time for swimming in the pool. On March 1 the district had its PETS event at the Sheraton Crescent Hotel. The PETS event is to help train and educate future club presidents for their upcoming year as president. The event started with a huge flag ceremony with every inbound student’s flag and also flags from the countries some rebounds did their exchange in. At the ceremony all the inbounds, outbounds, rebounds and Rotex attended. The ceremony ended with the national anthem performed by Emilee Goetzenberger. There was a lot of people that attended the event with Rotary members from various clubs in the district and it was very successful. My name is Mark Wight. 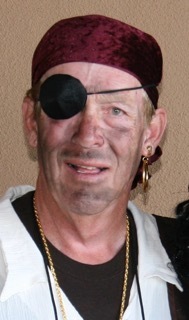 I am a new Rotary member; I was inducted into the Casas Adobes Rotary Club in June. I was one of six from our club who attended the district conference at the Doubletree. I presented these thoughts at the meeting and several members thought I should submit them to the newsletter, so here they are. I hope they can inspire others as this conference experience inspired me. I was unable to attend Friday during the day but was made it to the hospitality pavilions on Friday evening and for the Saturday sessions and banquet. 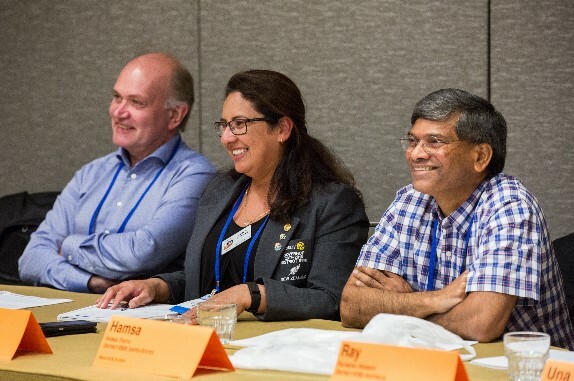 I would therefore like to comment briefly on the sessions I attended, but I would also like to focus on something much more important which is the thread that connected all of them – the impact on me as a new member, which was extraordinary. Not since World War II has the world seen the tremendous number of refugees forced to leave their homes and relocate because of war, conflict and violence. The suffering and anguish of these individuals and groups of individuals is a nightmarish reality for them. It also creates additional stress and conflict among societies faced with the choice of taking on refugees or rejecting them. 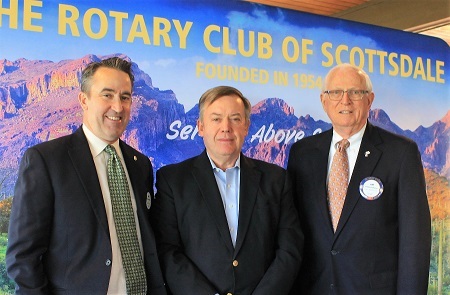 On March 28, The Rotary Club of Scottsdale, along with Paradise Valley Rotary Club, congratulated and interviewed 53 high school students from Arcadia, Chaparral, Coronado, Desert Mountain, Notre Dame Preparatory, Pinnacle, Saguaro and Scottsdale Preparatory High Schools. Youth Salute candidates were interviewed by 22 Rotarians from Rotary Club of Scottsdale and Paradise Valley Rotary Club, as well as, other community leaders. While the students were waiting for their interviews, Rotarians Roger Rohr and Bill Bader role-played and shared successful interviewing techniques with the candidates.